Although penguins might be dressed for a classy dinner date, the dapper birds probably wouldn’t enjoy the cuisine. A recent study led by Jianzhi George Zhang at the University of Michigan in Ann Arbor found that penguins have lost three of their five different tastes. While they can still distinguish between salty and sour foods, their tastes of sweet, bitter, and umami have disappeared. 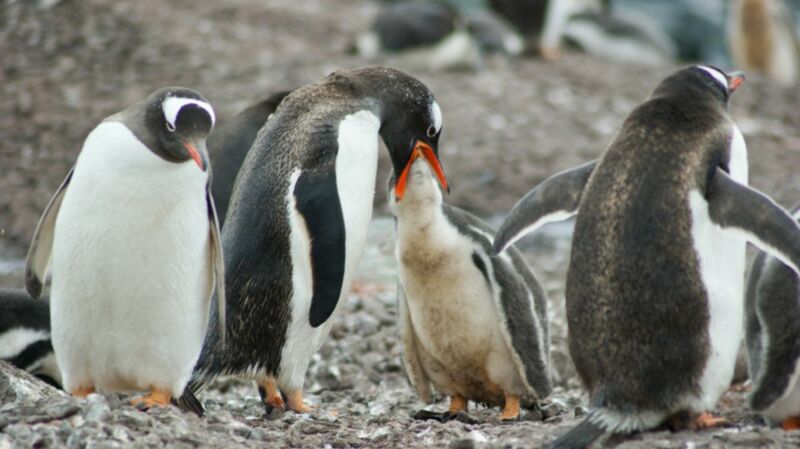 In the study, researchers screened penguin DNA for the genetic code responsible for the proteins that taste buds use to decipher the five different tastes. Surprisingly, the gene that makes a protein called Trpm5, which is necessary for interpreting sweet, bitter, and umami tastes, was missing. "Previous studies showed that Trpm5 doesn't function at low temperatures, so my hypothesis is that the cold Antarctic essentially made the three tastes that require Trpm5 unusable," Zhang told New Scientist. "Thus, the taste receptor genes gradually degenerated and got lost." Another reason penguins may be losing their sense of taste is that they swallow their prey whole, thus rendering the taste genes redundant. Why, then, haven't they lost the other two? While the three missing tastes may be superfluous to penguins, being able to taste sourness helps them gauge whether their food is rotten, and being able to taste saltiness could help keep their salt intake in check. It’s not unusual for animal species to lose certain tastes—giant pandas don’t register umami, while most birds and cats can’t taste sweetness—but as of yet no animal species has ever lost all five tastes. And while we may bemoan the penguin’s loss, dolphins and whales have even more limited palates: They can only taste salt.